In football, a substitute is of immense importance. Just consider the 1999 Champions League final between Bayern Munich and Manchester United. 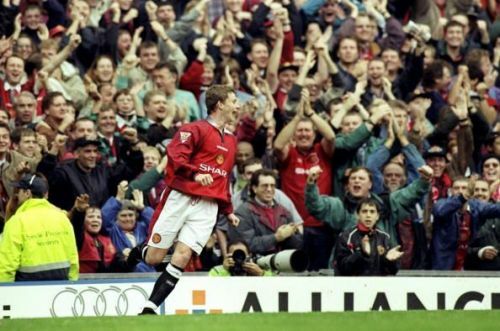 Ole Gunnar Solskjaer and Teddy Sheringham came off the bench and scored the two goals that helped Manchester United win the treble. In recent history, Olivier Giroud for Arsenal and Javier Hernandez for Manchester United have come to be known as masters of a substitute appearance. A substitute can change a match on its head as that player has the privilege to watch and analyze the game from the bench before coming on. Over the years in the Premier League, we have seen some brilliant introductions from the bench and in this article, we discuss the very best of them. So, without further ado, here are the top 5 substitute appearances in the history of the Premier League. 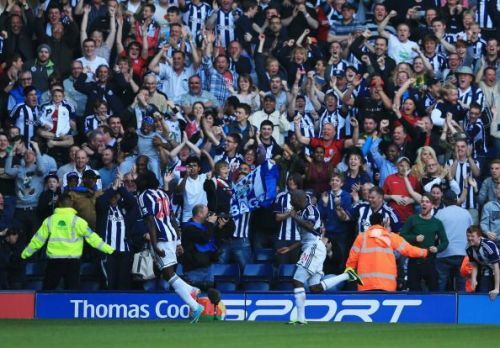 This match against between Manchester United and West Bromwich Albion on the final day of the 2012/13 season of the Premier League is better remembered as the last match of Sir Alex Ferguson in the Manchester United dugout. But Romelu Lukaku's exploits off the bench in this game didn't go unnoticed. West Brom were 3-1 down at half time and Romelu Lukaku was brought in for defender Liam Ridgewell at the start of the second half. Romelu Lukaku scored instantly to get the home side back into the match. But Manchester United restored their lead with two goals from Robin Van Persie and Javier Hernandez. In the final ten minutes of the game, Romelu Lukaku scored twice to end the match in a 5-5 draw and Lukaku earned plaudits for his brilliant display deservedly.